zoe has logged a lot of travel miles in her short life including a few trips to md and this first roundtrip out to los angeles. people frequently ask how she does….super duper. in fact, when i think about it, there is nothing difficult about my daughter. during this flight, she was giggling and charming other passengers who i’m sure were not happy to see her at first. babies and flights don’t mix. 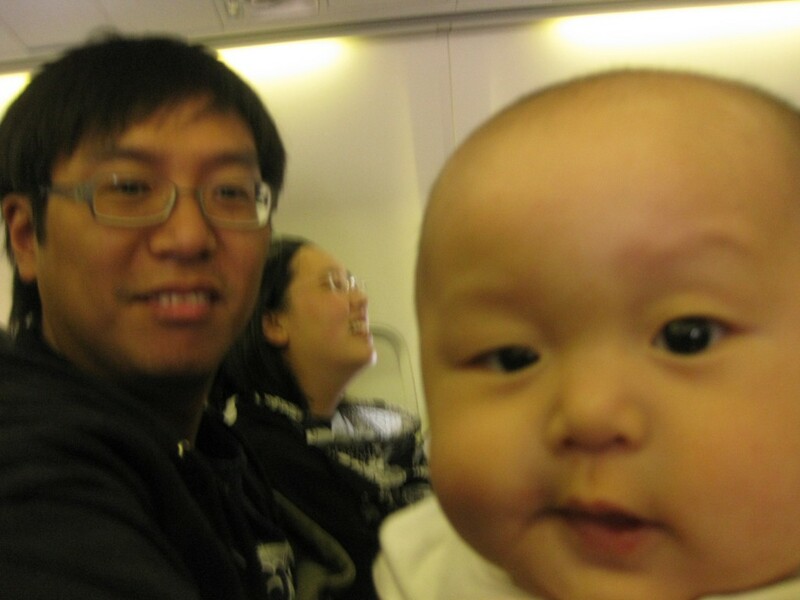 there was a baby in the back that sounded like she was being strangled throughout the flight. zoe couldn’t figure out what the big deal was and went to sleep. some of the parents in my church have declared this situation, unfair.